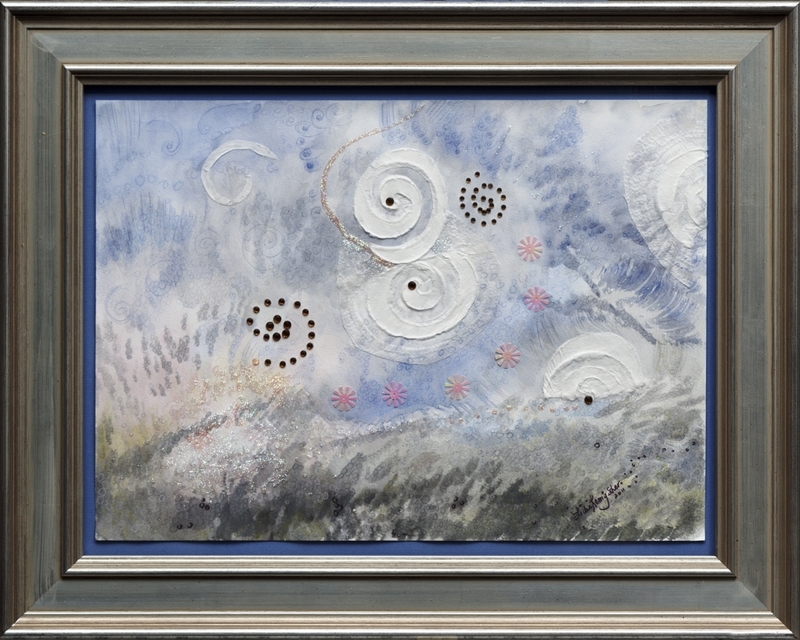 This lyrical mixed media with watercolors on paper depicts an open sky with more than just clouds. When we Meditate with Open eyes we are able to see what else is beyond the known. This insight is not usually available to our mundane view. In this state, we are also able to look deeply within ourselves and explore our inner sky. I practiced this meditation on a sojourn to Block Island, Maine a few summers ago.It proved to be quite enlightening. The original comes beautifully framed and ready to hang and...help you meditate with OPEN EYES!